2 Esdras 9:26: So I went my way into the field which is called Ardath, like as he commanded me; and there I sat among the flowers, and did eat of the herbs of the field, and the meat of the same satisfied me. Book of Sirach (or Ecclesiasticus) 24:18: I was exalted like a palm tree in Cades, and as a rose plant in Jericho. Book of Sirach (or Ecclesiasticus) 39:17: By a voice he saith: Hear me, ye divine offspring, and bud forth as the rose planted by the brooks of waters. The oleander (Nerium olander) is a broadleaf evergreen plant that grows well in Plant Zones 8–10. I live in Zone 7. After two years of vegetative growth each summer, my oleander has yet to produce flowers. Perhaps the climate is just too cold here in Roanoke. The oleander received its name from the leaves looking like olive leaves. The Oleander grows up to eight feet tall and horizontally to five feet. Supposedly it is a seasonal bloomer with blooms pink, purple, or white. 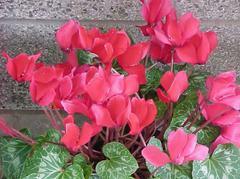 Blooms have five petals and the flower is funnel-shaped. The oleander should grow and bloom in full sun to part shade. It requires little maintenance and is drought tolerant. Supposedly, oleander grow well in tubs which are taken indoors in winter. Promptly deadhead spent blooms to prevent seed pods (very unattractive) from forming. All parts of the oleander plant are poisonous if ingested. 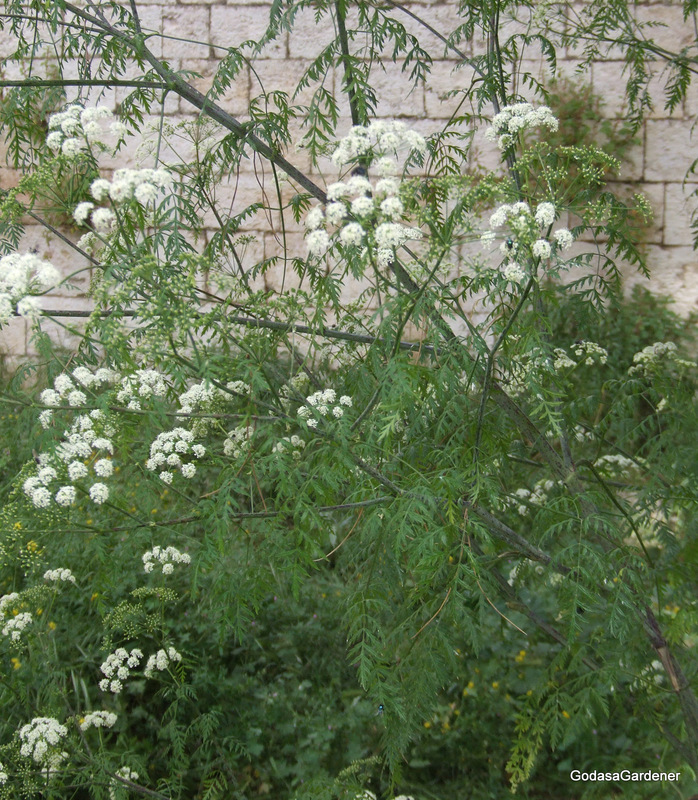 Plant saps can cause allergic skin reactions in some people. Smoke from burning plant material can be toxic. Ponder that something (the oleander plant) this beautiful to the eye is toxic to mankind. The oleander plant reminds me of many types of sin in our world. So many sins, i.e., beautiful, sleek, fast cars; seemingly glitzy life styles of the rich and famous; sumptuous banquets with an overabundance of rich foods to include desserts, are attract the eye but when consumed are poisonous. Reflection: Just as the oleander plant is poisonous, so are certain sins that we encounter daily. The oleander plant is a lesson for Christians. The Poinsettia (Euphorbia pulcherrima) is known as a Christmas flower, but it didn’t grow in Judea at the time of Christ’s birth. Poinsettia is native to Mexico where it was a symbol of purity to Aztec Indians. Joel Roberts Poinsett introduced the flower into the United States. While Ambassador to Mexico, he had poinsettia sent to his home in Greenville, SC. He distributed the flower to botanical gardens and to friends interested in horticulture. Today, poinsettias occur in different colors, e.g., red, pink, white. There are mini poinsettias to large specimen tree-size poinsettia. Their stems are woody and they tend to quickly drop flower petals. The poinsettia is not only the most popular Christmas flower, but the number one flowering potted plant in the United States. My brother had a poinsettia for about 7 years. Every year it blooms around Christmas. He started to decorate it like a Christmas tree. Every Christmas, members of my Church can donate a poinsettia to decorate the altar. I suppose the reason is the beautiful color of the plant — I’ve never heard any discussion about the flower being symbolic of purity. In the future when I see a poinsettia at the church altar, I am going to think about the purity of the Christ child who came to earth. Reflection: If you receive a poinsettia for Christmas, enjoy it and don’t forget to think about ways you can be a pure light in a darkening world. I admit it, I have a new addiction. It is pistachios. There is always a container setting on the counter in the kitchen. Most times when I go there, I stop and open several shells and eat the nuts. In the Bible, pistachios are mentioned only once. Jacob told his sons to take them as a gift to the man (Joseph) in control of the Egyptian food supply. The background of the story was that Jacob’s sons made a previous trip to Egypt to buy food after a famine hit Canaan. There, Joseph (the same Joseph that the brothers sold into slavery) met with his brothers; but they failed to recognize him. Joseph told his brothers that he would sell them additional food if Benjamin came with them when the brothers returned to Egypt. Jacob was reluctant to allow his youngest son to leave Canaan and go to Egypt with the older brothers. In Jacob’s mind, Rachel’s first son (Joseph) was dead and he had only Benjamin’s Rachel’s youngest son left alive. Judah persuaded Jacob to allow Benjamin to accompany the brothers to Egypt lest the entire family starve. Jacob gave Judah the direction to take pistachios to Egypt to give to the man in charge of selling food. Jacob identified pistachios as one of the “best products” of Canaan. Pistachios are a two-sided small greenish seed that grows in a whitish-brown hard shell. Pistachio trees (Pistacio vera) were cultivated in Israel for 4000 years. The modern pistachio tree, P. vera, was first cultivated in Bronze Age Central Asia (Uzbekistan). Pistachio trees are a desert plant and highly tolerant of saline soil. Trees can survive temperatures ranging between −10 °C (14 °F) in winter and 48 °C (118 °F) in summer. They grow poorly in high humidity. Pistachio tree are susceptible to root rot in winter if soil is not free-draining. Long, hot summers are required for proper ripening of the fruit. Remember in grade school you learned that something could be “good, better, or best?” Pistachios were one of the “best” products of Canaan. According to the dictionary “best” means “excelling all others.” Over time, I’ve learned that I cannot be “good” in my own strength. Believe me I tried – hard! Further, I should not compare myself with other Christians and attempt to be “better” than they. There was always someone “better” than me. Instead, I should work at being the “best” Christian I am capable of being regardless of what others are doing or where they are in their walk with Christ. God wants me to be the “best” Christian “me” that I can be. Reflection: How do you evaluate your Christian walk? I love studying plants in the Bible, even the relatively uncommon ones. If you are interested in learning more about Bible plants, check my website www.CarolynRothMinistry.com. I have a store where you can purchase books on Bible plants.